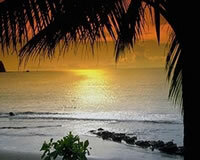 The Paradise Discovered vacation is hands down the best deal in Costa Rica with NO hidden fees. This amazing vacation starts off with some adventure at Arenal Volcano and wraps up at the 5 Star All Inclusive Hilton Papagayo Resort. 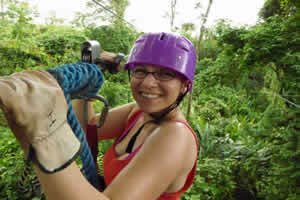 The Discover Costa Rica Inclusive Adventure is an awesome deal for an amazing adventure. This vacation will take you into the jungle and to the base of an active volcano where you will bathe in hot spring pools and then out to the majestic Pacific coast where you will relax in style at the 5 Star All Inclusive Riu Guanacaste Resort. 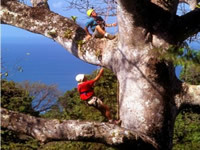 The Smooth Tropics Inclusive Adventure is a great vacation for just about anybody! As the name suggests, this vacation evokes a smoooooth feeling as you relax on remote tropical beaches and enjoy an amaing adventure near an active volcano. 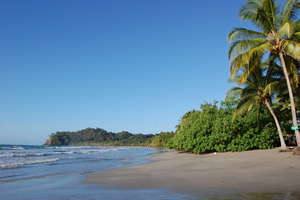 The South Pacific Eco Escape is a great way to jump off the grid of mainstream tourism and into the real Costa Rica. This safari/adventure will bring you way up in the jungles of the cloud forest and then down to the beautiful South Pacific coast and Hacienda Baru. This adventure is not for everyone, but if this sounds like your style, you will love this one! The Mango Madness is an action packed adventure that includes a hike at the base of an active volcano and then hot springs, whitewater rafting, canopy zipline adventure, swimming in a pool beneath a majestic waterfall and just enough time to take in the sun on a beautiful tropical beach at an All Inclusive 5 star resort at the end. The Surf and Turf Inclusive Adventure starts off with a few days at Hacienda Guachipelin Adventure Ranch which is located at the base of Rincon de la Vieja Volcano. After some awesome whitewater tubing and ziplining through the canyon you will be on your way down the coast to the All Inclusive Barcelo Langosta Beach Resort for some fun in the sun and surf school tour. 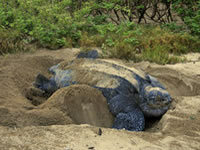 The Leatherback and Lava Pac is a long time favorite. This is a nearly inclusive safari which will take you through the wilds of Tortuguero National Park on the Caribbean coast and then inland to the magnificent Arenal Volcano. 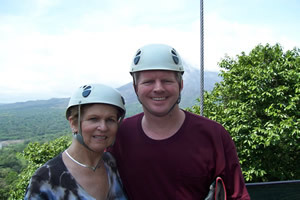 The Lava and Cloud Forest Adventure has been one of our most popular vacations for years. 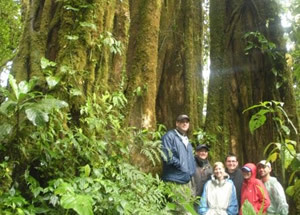 This great adventure and wildlife vacation will take you straight into the canopy of both primary rainforest and cloud forest. 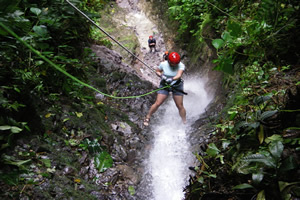 The Pure Life Adventure is perfect for first time visitors to Costa Rica. 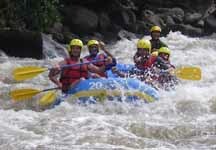 This fun filled adventure includes the top two destinations (Arenal Volcano and Manuel Antonio) and top 3 tours making it among our top recommendations. This is definitely not for everyone! The Funky Monkey Adrenaline Junkie Vacation is a fast paced, high flying, river rafting, waterfall rappelling full adrenaline vacation! Buckle up, it’s a bumpy road ahead!